In an interview with CNN on Thursday, Graham responded to a question about whether he was concerned about reports of Trump dabbling in conspiracy theories by saying his real issue was with the media questioning the president’s mental stability. 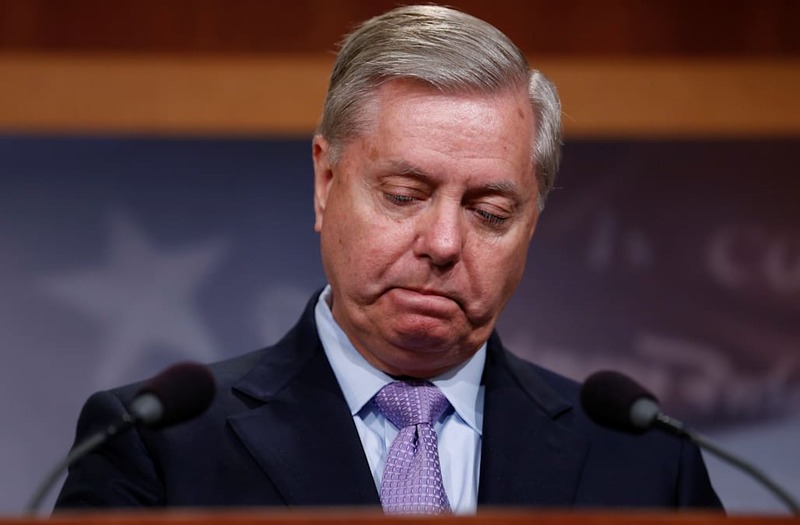 Perhaps the media got the idea from something Graham said on Fox News in February 2016, when the two were squaring off in the 2016 Republican primary. In May 2016 after Trump had clinched the GOP nomination, Graham said he didn’t plan to vote for him. Graham is not the first primary foe to decide Trump isn’t so bad after all (the two golfed together in October). In March, Sen. Ted Cruz, R-Texas, and his wife, Heidi, dined at the White House, less than a year after Trump had implied Cruz’s father was involved in the assassination of former President John F. Kennedy. During the fight for the GOP nomination, Trump also posted an unflattering photo of Heidi that is still active on his Twitter account. Cruz unloaded on Trump as the primary race came to an effective end. For Democrats in 2018, how many candidates are too many?